Je suis malade | One quality, the finest. Multi-hyphenated Belgian-Italian singer-songwriter Lara Fabian (née Crokaert) was born on January 9, 1970. She’s also multi-lingual, performing with equal ease in French, English, and Italian. Fabian’s also capable of demonstrating her four octave range in Spanish, Portuguese, Russian, Hebrew, German, and Dutch. So far, she’s sold about 18 million records world-wide. Her career really took off in 1988 when she represented Belgium in the Eurovision song contest, with “Croire”; while she didn’t win the competition, the single sold half a million copies that year. In 1990, she and her collaborator moved to Canada, where she became a citizen. Her second album, Carpe Diem, went triple platinum. One of my students swoons when he hears her 1995 version of Serge Lama’s “Je Suis Malade” (although I prefer the more melancholic Lama version). In 1996, Disney tapped her for the voice of Esmerelda in The Hunchback of Notre Dame and included the French version of “Que Dieu aide les exclus” (God help the outcasts) on the soundtrack. Success followed success. She sang a duet with Johnny Hallyday, “Requiem pour un fou,” at a benefit concert for Les Restos du Coeur. The ultimate coronation may have been her wax figure at the Musée Grévin in Paris – a first for a French-Canadian singer. 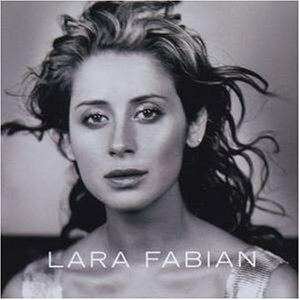 If you want to catch up with her career, the album Best of Lara Fabian is a good bet. Je suis malade (sje swee mahlahd) means “I am sick.” It’s the perfect feeling sorry for yourself music. Lama actually wrote it for Dalida, a beauty queen turned singer who was so obsessed with losing her beauty that she committed suicide. That’s obsessed. Give “Je suis malade” a try during your next case of the sniffles and have a good wallow in self-pity. It’s one compensation for being under the weather. Just don’t try Dalida’s solution. This entry was posted in Music, People and tagged Dalida, Je suis malade, Johnny Hallyday, Lara Fabian, Que Dieu aide les exclus, Requiem pour un fou, Serge Lama. Bookmark the permalink. Pingback: Faire bouillir la marmite | One quality, the finest. Pingback: Hors du commun | One quality, the finest.